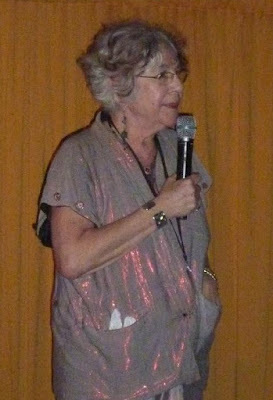 First she gave us a terrific documentary about the life and times of activist/writer Grace Paley, then followed this with a shorter but fascinating film on Esther Bronner, the woman who brought us the first feminist seder. 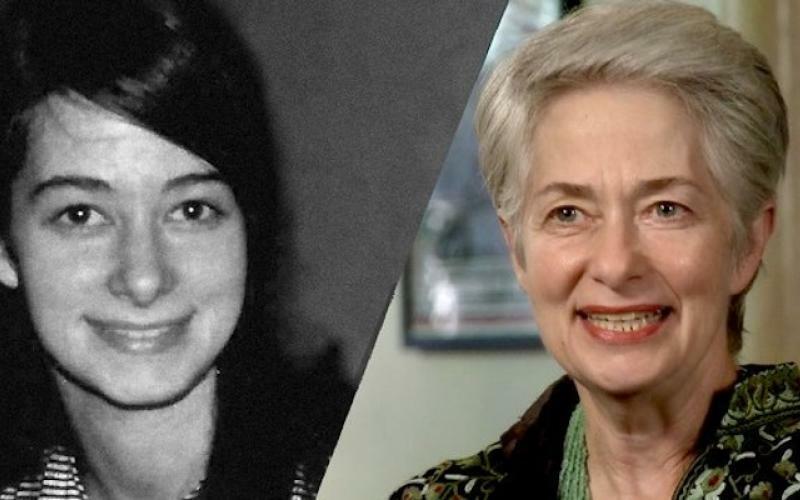 Now, Lilly Rivlin offers up her hour-long documentary, HEATHER BOOTH: CHANGING THE WORLD, which will introduce many (if not most) of us to, as Ms Rivlin puts it, "the most important person you've never heard of." This film's a winner, too. 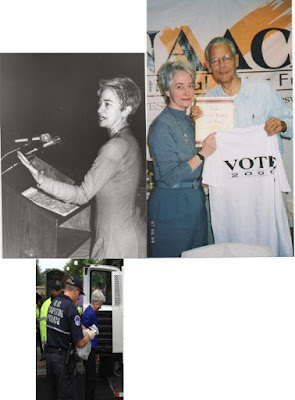 So who is Heather Booth? (That's she, above, in both her younger and more recent days.) Well, the woman is an "organizer," and if that might seem at first a bit mundane, we soon learn how important this job is, along with how it most effectively can be done. We also learn about the forces that drive her -- love people, hate injustice -- and how her status as an "outsider" probably fueled the fire. 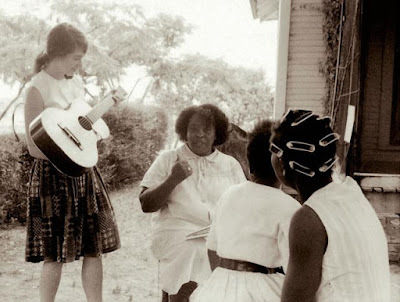 From her first task -- handing out anti-capital-punishment flyers in Times Square -- through the Mississippi terror and the Civil Right demonstrations during the 1960s, we follow her career with interest and often surprise. She worked with Fannie Lou Hamer -- above, center -- in the south, where her sense of the need for social justice was strengthened by living with a black family. From there her skill for organizing seemed to bloom and flourish. 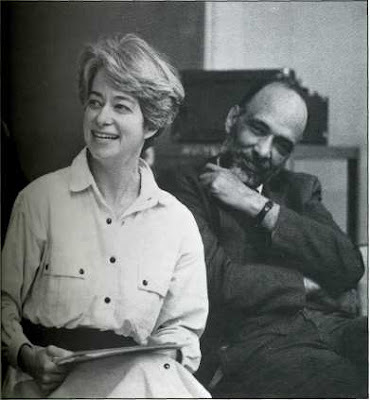 From racial justice to abortion rights and the creation of "Jane" (at a time when abortion was still illegal), we follow her career, professional and personal (there is a lovely section here devoted to "When Heather Met Paul," the man who became her husband and co-worker, though in a very different venue). We discover the ACDC (Action Committee for Decent Child Care), and The Midwest Academy where, against all conventional wisdom, Heather proves that "organization" can indeed be taught. The movie does skip around a lot, even, it seems, in terms of time frames, yet there is not an uninteresting minute in all of the 60. 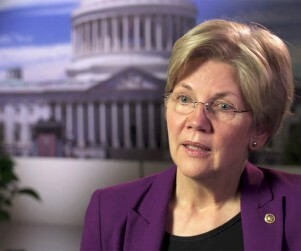 We watch as, with Booth's help, Harold Washington is elected mayor of Chicago, and eventually Elizabeth Warren's Consumer Financial Protection Bureau is formed (and has by now returned almost twelve billion dollars to consumers!). Accolades to Booth from both Warren and Julian Bond are included in the documentary. The movie's a call to action, as it demonstrates just what a wonder Heather Booth really is. Watching and listening to her will give you much needed courage. The film ends with the election of Donald Trump, a declaration of concern and -- of course -- the need for organization. 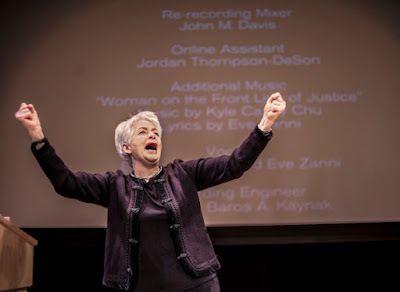 Distributed by Women Make Movies, Heather Booth: Changing the World will make its debut in Sarasota, Florida, beginning next week at the Through Women's Eyes Film Festival on Saturday, April 1, at 3:15pm (click here for the complete film schedule); and again during the Sarasota Film Festival on Monday, April 3, at 4:15pm. Click here for this festival's complete schedule.